A peasant from Gascony, France, Vincent became a priest at the age of twenty. On a voyage from Marseille, he was sold into slavery by Turkish pirates. 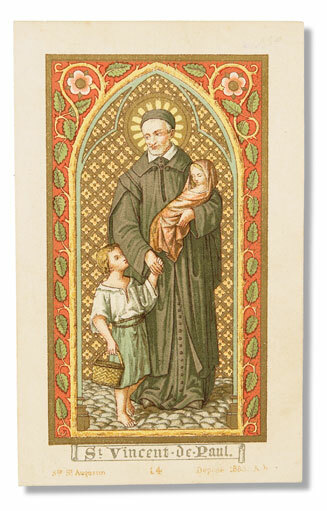 After converting his owner, he went to Paris, where he devoted himself to the poor, the forgotten, and prisoners. Depending upon divine providence, he developed a welfare system and a network of charities, which he brought to the French countryside, Scotland, Italy, and the territory of Madagascar.